MainOpEdsJews can be anti-Semites too! Jews can be anti-Semites too! Gilad Atzmon, the paradigm of a Jewish anti-Semite, is not alone. In a worldwide anti-Semitism competition for Jews, Gilad Atzmon would probably represent Great Britain. The slurs published by this musician, an Israeli who says he has torn up his passport, are so major that even the Palestinian Electronic Intifada site has dissociated itself from his anti-Semitism. The analysis of his statements can thus serve as a paradigm for similar assessments of fallacious smears by Jewish anti-Semites. 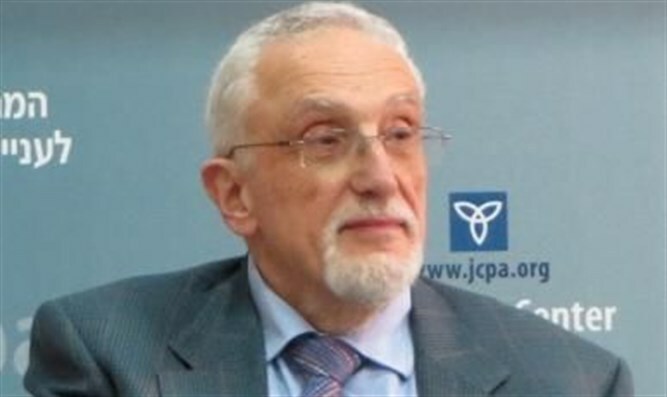 The International Holocaust Remembrance Alliance (IHRA) definition of anti-Semitism is an appropriate tool to analyze the publications of this serial defamer of Israel and the Jews. The definition needed the agreement of its 31 member countries -- among them Great Britain. Atzmon’s views are classic anti-Semitism in line with the Protocols of the Elders of Zion, whose veracity he defends. Atzmon often also sets his sights on so-called Jewish “progressives.” These include the Jewish anti-Zionist left. He attacks, for instance, the American Max Blumenthal, who has repeatedly made comparisons between Israel and Nazis. 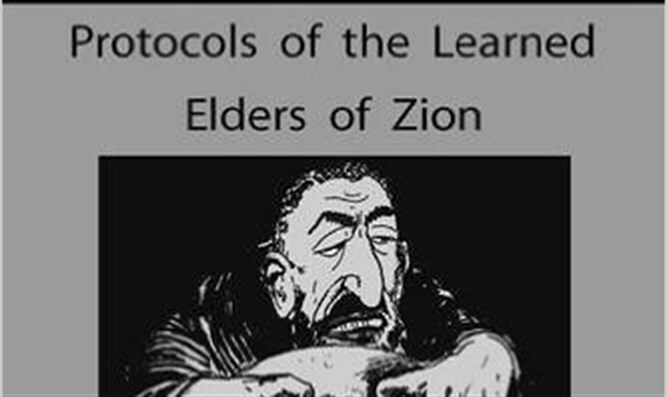 In an article titled “Goyim Must Obey,” Atzmon accuses the Jewish anti-Zionists of telling “Goyim and even Palestinians what they may or may not do and who they may or may not listen to” just like the world-controlling chosen people in the first place. Atzmon even attacks Jews who completely disavow Judaism and Zionism. One is Shlomo Sand - an Israeli historian and self-described ex-Jew who wrote The Invention of the Jewish People. Another is Avigail Abarbanel - a former Israeli who is now a pro-Palestinian activist and writer for the anti-Israel site Mondoweiss, and a psychotherapist in Australia. According to Atzmon they are still infected with “kosher binary thinking” and continued attachment to Jewish tribalism, as well as an obsession with the Holocaust. He also claims that Abarbanel refuses to be introspective enough to “look in the mirror and identify what is it about them (Jews) that evokes so much animosity in so many different times and in so many different places…something Bernard Lazare, an early Zionist did…” Lazare, who died more than hundred years ago, made many self-hating comments in his analysis of anti-Semitism. In an article about George Soros, an extreme anti-Zionist American critic of Israel, to whom he keeps referring to as “the Jewish billionaire” and “the Jewish oligarch” Atzmon writes, “Soros’ email sheds light on who really sets the tone for the West. Clearly it isn’t our so-called ‘democratically elected’ politicians. Instead, it is “a small cadre of oligarchs, people like Soros and Goldman Sachs.” The ethnic heritage of these “oligarchs” is implicit. This article is titled “Is Bibi a Lizard?” which clearly refers back to the common conspiracy theory trope of reptile hybrids that control the world, propounded by David Icke. This British footballer and sports broadcaster turned writer, public speaker, and conspiracy theorist is referenced in Atzmon’s article. Why should one give attention to Atzmon, who mainly publishes on his website? There are several reasons. One is that in a partly anti-Semitic climate even a marginal figure assists in further inciting against Jews and Israel. In the U.K, according to a study by the University of Bielefeld in 2011 42% of the adult population agree with the lunatic statement that Israel conducts a war of extermination against the Palestinians. Atzmon has gained some influence on the British left, including the Socialist Workers Party and Indymedia. An article of his has been circulated by the extreme anti-Israeli Baroness Tonge. Atzmon has been the subject of articles in The Guardian and The Atlantic. His book The Wandering Who has been endorsed by anti-Zionist John Mearsheimer, the R. Wendell Harrison Distinguished Service Professor of Political Science at the University of Chicago and author along with Harvard’s Stephen Walt of The Israel Lobby. The nonsensical statement that Jews cannot be anti-Semites is often heard. Moreover, Atzmon, for some, has an air of legitimacy because he is a Jew and ex-Israeli who once served in the IDF, now criticizing these categories. The Atzmon case, of a major Jewish anti-Semitic inciter does not stand by itself. One, among many others, is the earlier mentioned Max Blumenthal. He is the son of Sidney Blumenthal, a close advisor to Hillary Clinton, of whom it is known that he passed on articles of his Holocaust-inverter son to the defeated presidential candidate. In the Netherlands, the leading Jewish anti-Semitic inciter, Hajo Meyer passed away in 2014. He even went to Germany to speak to a school in Gutersloh - which had received a grant from a Holocaust memorial foundation - to tell the pupils there that Israel is a Nazi State. Atzmon seems not yet to have discovered him. Robert S. Wistrich, A Lethal Obsession: Anti-Semitism from Antiquity to the Global Jihad (New York: Random House, 2010.) p.p. 16-17.